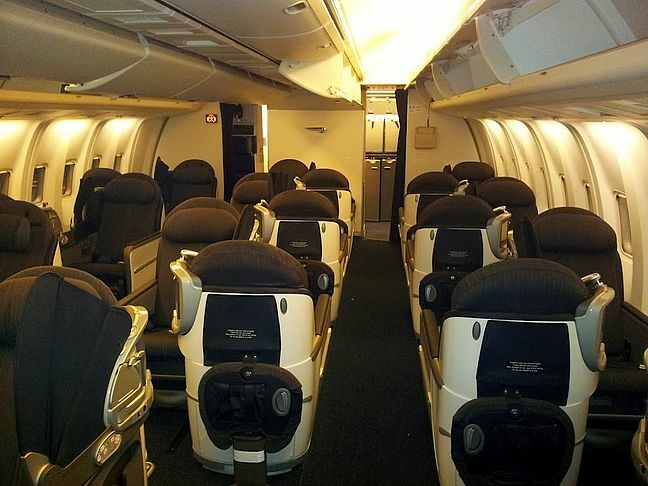 Why are passenger seats not facing backward on an airplane? Most passenger are already in position in case of an unpredicted crash. What made designers do it this way ? Is there any plane with such a configuration ? You are absolutely correct, backward facing seats are safer. But tradition and a subjective feeling of being treated better means that people will prefer to be seated facing forward. Some even claim that they develop motion sickness when sitting backwards. This can indeed be the case for some people in trains with their big windows, but much less so in aircraft. Just note which seats will be occupied last in a train with lounge/mixed seating. In order to cram the highest number of passengers into their planes, the airlines would need to convert all seats to the backward orientation, and you can be sure there will be some passengers who will complain. If passenger safety would be important to them, airlines could already use better seatbelts, like the 5-point-harnesses used in gliders and aerobatics planes, but they all use the minimum lap belt which is mandated and nothing more. Convenience and cost always win over safety. 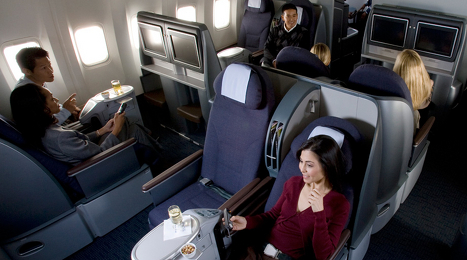 If passengers should be seated backwards, the industry needs to develop new seats. It will not be helpful to turn existing seats around - they would collapse at much lower loads than what a backward-sitting human can sustain. However, to fully support these higher loads, seats will be more heavy and possibly even the floor structure needs to be beefed up. Backward-facing seating will only help in the fraction of cases where deceleration loads are too high for a forward-facing person, but low enough to make the crash survivable. If the plane flies into a mountain or ditches and sinks before people get out, the better seating will not help. Some military transports have backward-facing seats. In some crashes, the survivability rate was seven times higher in those than in forward-facing seats. 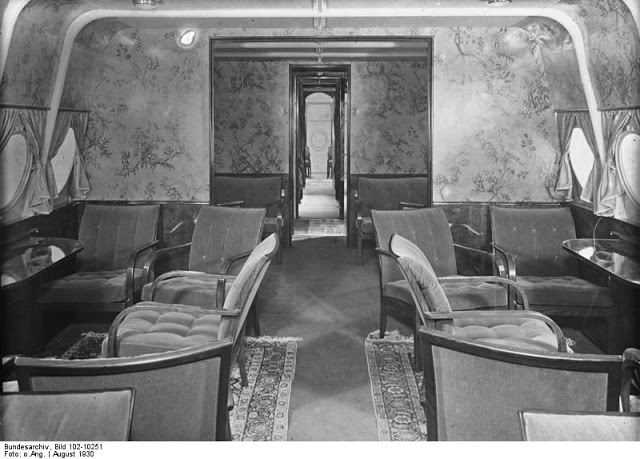 Early air travel also used mixed seating, e.g. on the Zeppelins or the Dornier Do-X. One airline to use mixed seating was Southwest Airlines with their "love seats", and business jets have mixed seating as standard. 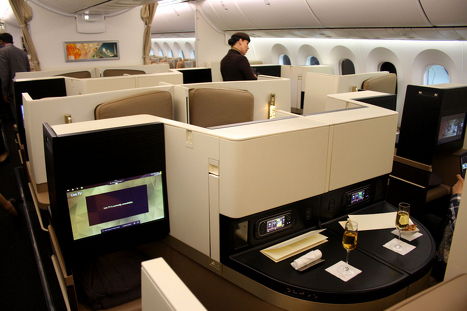 Thanks to @reirab for pointing out that United Business class also has some backward-facing seats. 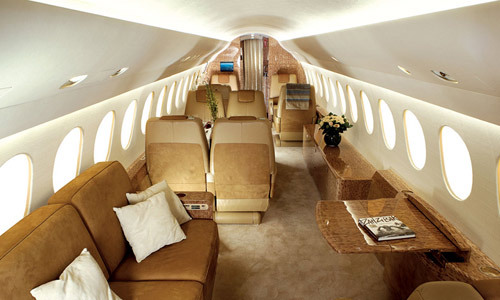 Cabin of the Dassault Falcon 7X business jet. It seems that backwarding seat make passenger feel not good. I don't know if this is a safety thing or a design matter but it does fall under your question Is there any plane with such a configuration? Has there ever been an commercial airplane with rear-facing seats? How many lives would be saved if the airlines turned all the seats around? Are the current seat belts used in commercial airlines safe enough? 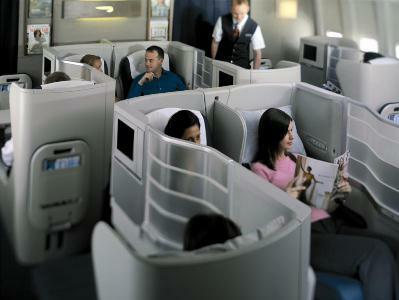 Is it feasible to have passenger jet aircraft seats turn into bouncing cocoons on impact? Why are aircraft windshields not unbreakable? Why are passenger required to put their phones in Airplane Mode during taxi to gate? Why are airliner cockpits not shielded from lasers? Why are passengers not given the option of shoulder harnesses? Why are lavatories located near the exits of an airplane? Which items are allowed on passenger flights but not on cargo ones?